In his newly-published book, Kentucke’s Frontiers (Indiana University Press, 2010), Professor of History Craig Thompson Friend explains how fear and terror transformed that region’s early promise of an egalitarian life for all into a patriarchal society that favored white men. “The frontier offered opportunity, not just for white men, but for blacks and white women,” he says. “But through the process of ‘civilization,’ opportunity is reinforced for some while it is taken away from others. 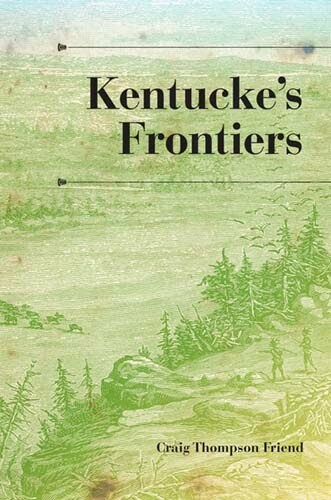 Specifically, white women lost individual freedoms to patriarchy, Blacks lost individual freedoms to slavery, and the Indians lost everything.” Friend examines the political, military, religious, and public memory narratives of early Kentucky, from county courts and the state legislature to church tribunals and village stores as Kentuckians abandoned the egalitarianism of frontier life and elevated white males to privileged places in Kentucky history and memory.